Using both Hypnotherapy and NLP we can work with Phobias, Motivation, De stress, Weight loss, Stop Smoking, Confidence and much more. Hypnotherapy is a natural, effective way of making contact with the inner self, a source of many of our problems as well as a tremendous reservoir of unrecognised potential strength and knowledge. During our session you should expect to feel pleasantly relaxed, and totally aware of everything that’s being said. Hypnosis works by making your unconscious mind more receptive and able to act upon new ideas more readily, and can help treat a wide range of physical and psychological problems. It’s a common misunderstanding that while hypnotised, you are vulnerable and susceptible to being told to do all sorts of embarrassing things. We cannot stress enough the fact that your therapist can’t make you do anything that you don’t want to do (if you’ve seen people on TV being hypnotised and doing a silly dance, it’s only because they actually want to do it!). Hypnotherapy is a two way process between a therapist and client, and is essentially a professional partnership. The process will not work without your trust. During our session you’ll be gently led by your hypnotherapist’s voice into a state where your body and mind are totally relaxed and almost asleep, but your thoughts will become more focussed. Your blood pressure and heart rate will drop slightly and there’ll be changes in certain types of brain wave activity. You’ll remain aware of what’s going on around you and will be able to stop the session at any point should you want to. Your hypnotherapist can help you to induce beneficial changes in your mind which can unlock the power to achieve all sorts of things in your life. For example, someone suffering joint pain could be taught to ‘turn down’ the volume of the pain, making their lives much more comfortable. Hypnotherapy can be hugely helpful to reduce stress, gaining confidence and happiness, losing weight and giving up smoking. Other problems which can be helped by hypnotherapy include asthma, phobias, insomnia, addictions, skin disorders, headaches, eating disorders and indigestion although hypnotherapy can be incredibly effective at treating numerous other conditions too. 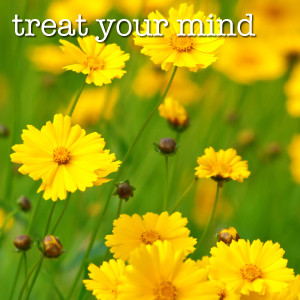 Pop in for a chat or call us to find out how hypnotherapy/NLP can benefit you.